NASHVILLE, Tenn.–(BUSINESS WIRE)–TransCore, a leader in tolling and transportation solutions, is in the midst of deploying over 100 miles of express lanes throughout the Dallas/Fort Worth Metroplex, as part of a sweeping initiative to increase mobility along the region’s busiest corridors. With 34 lanes already operational, the Texas Department of Transportation (TxDOT) plans to mark the 100-mile milestone by the end of 2018. In 1998, TransCore deployed the country’s first dynamically-priced express lane system in San Diego, California. As express lanes have become more prevalent throughout the United States and matured in the decades since, agencies are able to more rapidly deploy complex systems using a variety of proven dynamic pricing algorithms based on desired mobility objectives. Today, TransCore express lane systems are installed on the largest and most innovative express lane projects in the nation, effectively providing motorists accurate mobility options in real time along more than 600 miles of express lanes throughout the states of California, Florida, Utah, Minnesota, Virginia, and Texas. TransCore has completed construction of the area’s first fully-automated, reversible direction open road tolling system along I-30, a major east/west corridor that spans Arlington, Grand Prairie, and Dallas. The innovative design includes 16 miles of dynamically-priced managed lanes, of which 7.6 miles are reversible to better accommodate heavier traffic during peak travel times. As part of the implementation, TransCore also provided a Managed Lane Dashboard enabling TxDOT to remotely monitor and manually control incidents, as they arise. In August, TransCore completed nearly 10 miles of High Occupancy Vehicle express lanes along I-635 just east of downtown Dallas, connecting U.S. 75 to I-30. The addition of a new managed lane in each direction provides motorists with a tolled, lower congestion choice during peak travel times. Construction continues on the I-35E managed lanes running north/south from Farmers Branch to Denton. The managed lanes will include nine toll zones, five of which will be reversible. As with all TxDOT express lanes, the cost of these dynamically-priced lanes will be displayed on roadside Toll Rate Dynamic Message Signs. The I-35E managed lanes are expected to open in May of 2017. TransCore also continues construction of nearly 30 miles of managed lanes along State Highway 114 north of Irving, and SH 183 east of Euless. Known as the Midtown Express, this project adds one new managed toll lane in each direction in some locations along both corridors. The Midtown Express Managed Lanes are expected to be completed in 2018. In 2014, TransCore completed four miles of managed lanes on the DFW Connector along State Highway 114 in Grapevine. The express lanes provide motorists with lower congestion options, particularly when traveling to and from the DFW International Airport. All toll locations are equipped with TransCore’s Infinity∞ Digital Express Lane System TM, which consists of Encompass® 6 readers that enable toll interoperability within the region and across the nation. They also include the Intelligent Vehicle Identification System to accurately classify vehicles, the Vehicle Capture and Recognition System®to capture video images, and a dynamic pricing module that accounts for specific roadway geometries, traffic patterns, and operational business rules. 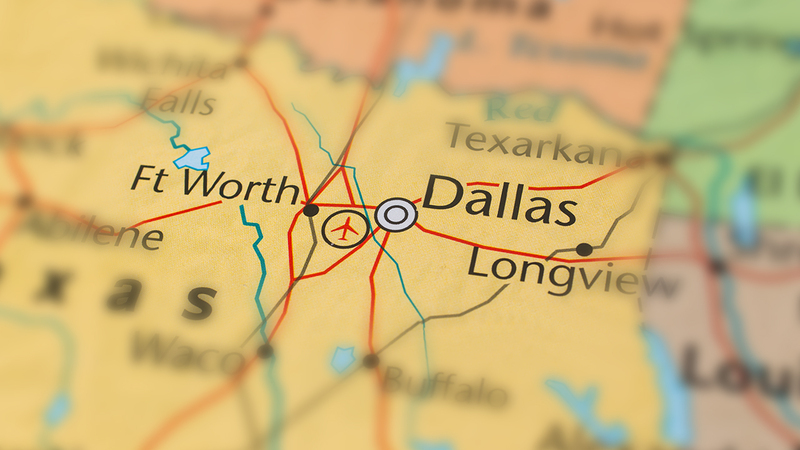 TransCore has partnered with transportation agencies throughout Texas for over 30 years, beginning with the design and deployment of the nation’s first electronic toll collection system for the North Texas Tollway Authority in Dallas. Since then, TransCore has deployed its toll collection system in hundreds of lanes throughout the state, including the nation’s largest High Occupancy Tolling lane system for the Houston Metropolitan Transit Authority of Harris County and the Harris County Toll Road Authority’s entire network. In 2012, TxDOT selected TransCore as it statewide integrator for all new toll collection systems.